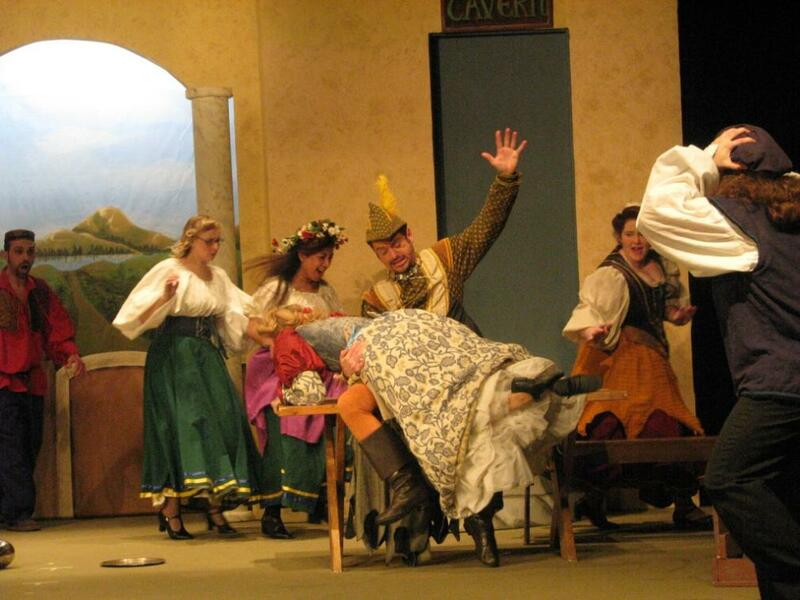 Do you think she’ll make it to closing night on May 11? 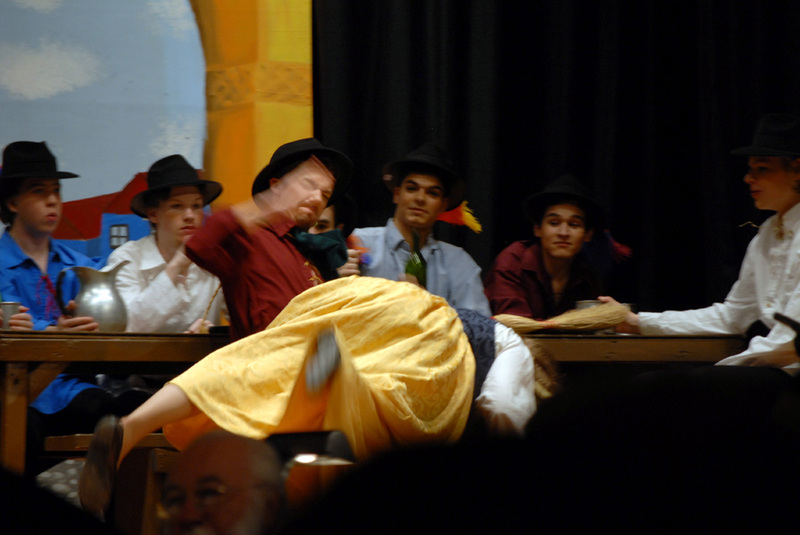 In a production which showed many of the excesses of modern German theater, this was not the most convincing rendering of the scene, since Lilli stayed on her feet throughout and shuffled round in a circle as she was spanked. 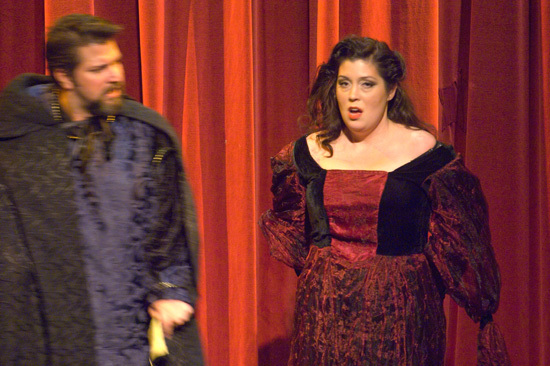 June 11-29 were the show dates at Muhlenberg Summer Music Theatre in Pennsylvania, with Ed Bara and Sarah Primmer. 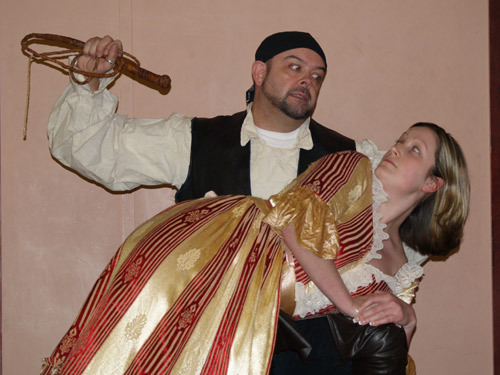 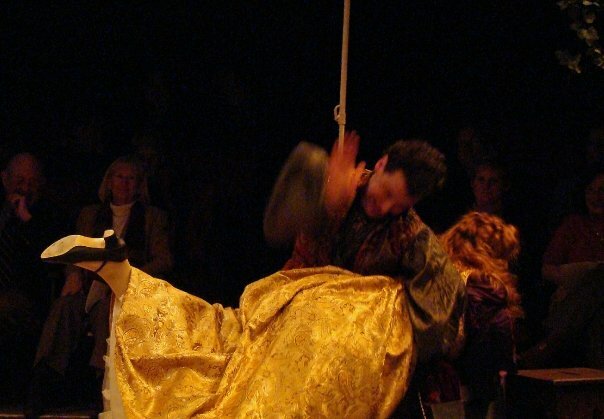 This was another of those pusillanimous skirt-raisings where the spanking gets administered on an underskirt – but on the bright side, at least it is a skirt-raising! 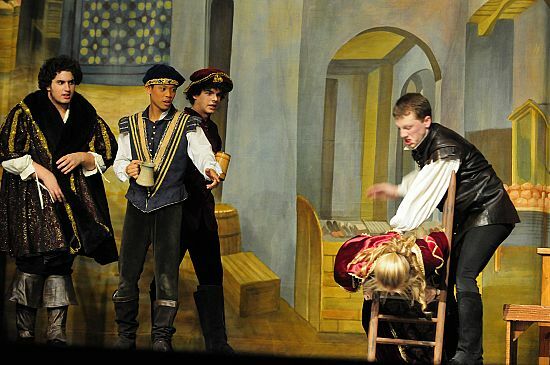 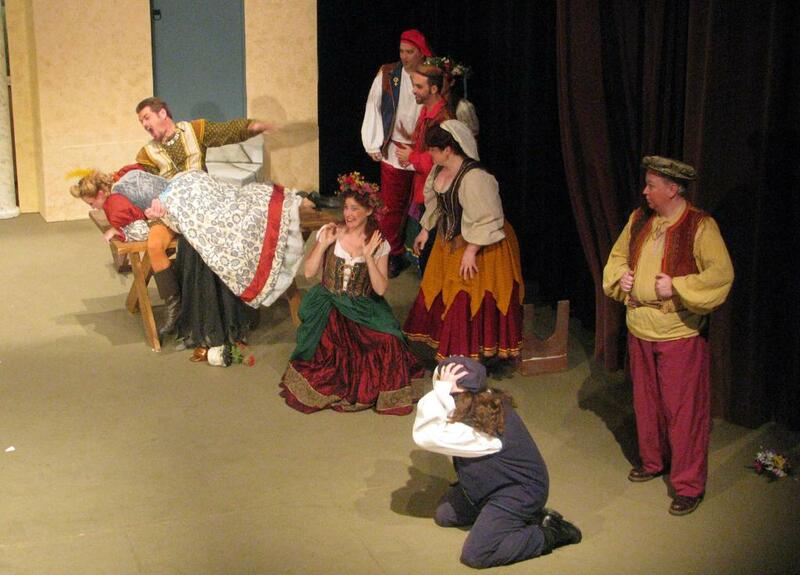 Yes, the guy in the foreground is frustrating, but bear in mind that he’s only doing his job: with no curtain to bring down as scripted (by the Spewacks), the actors in Fred Graham’s Shrew company had to improvise their ’emergency measures’ to stop the audience seeing the whole of that indecorous and (by Shakespeare) unscripted spanking! 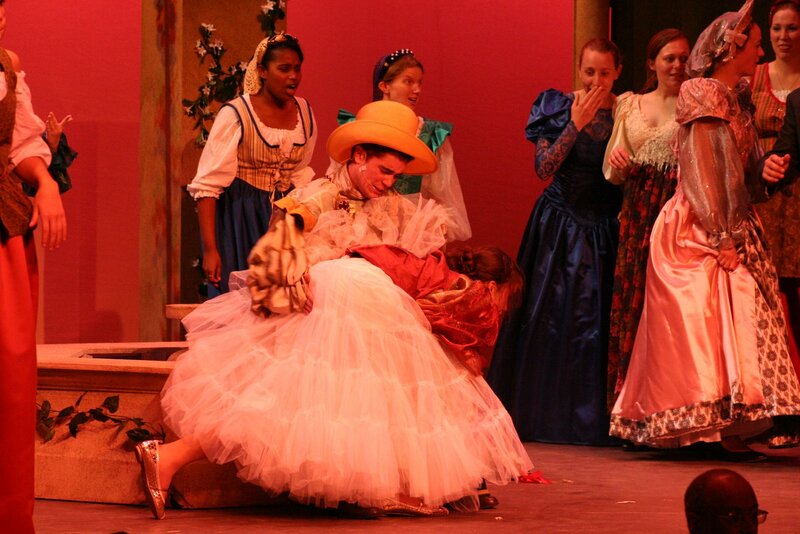 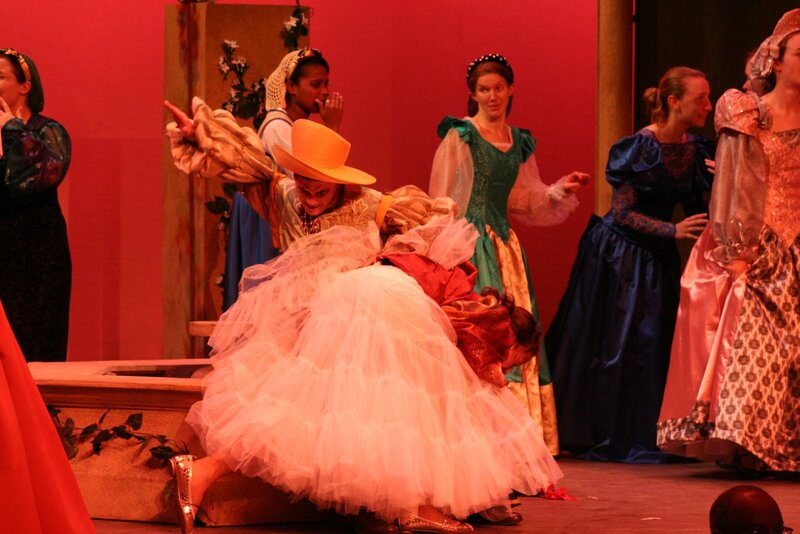 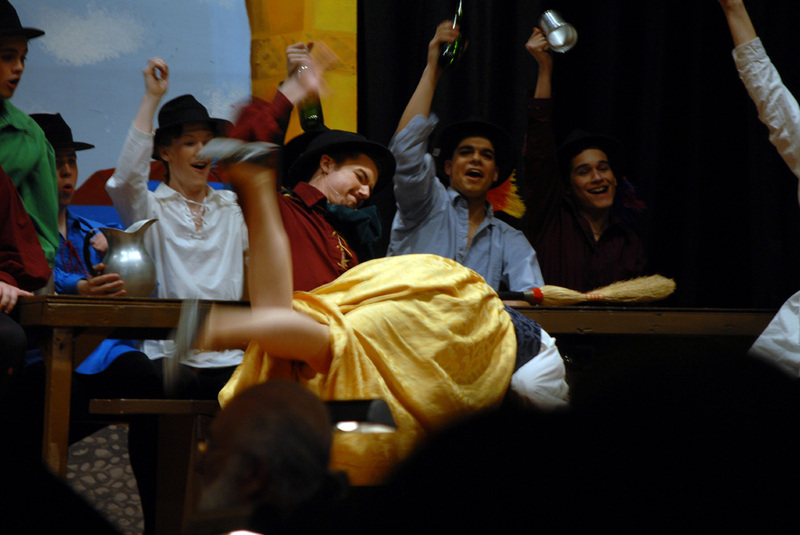 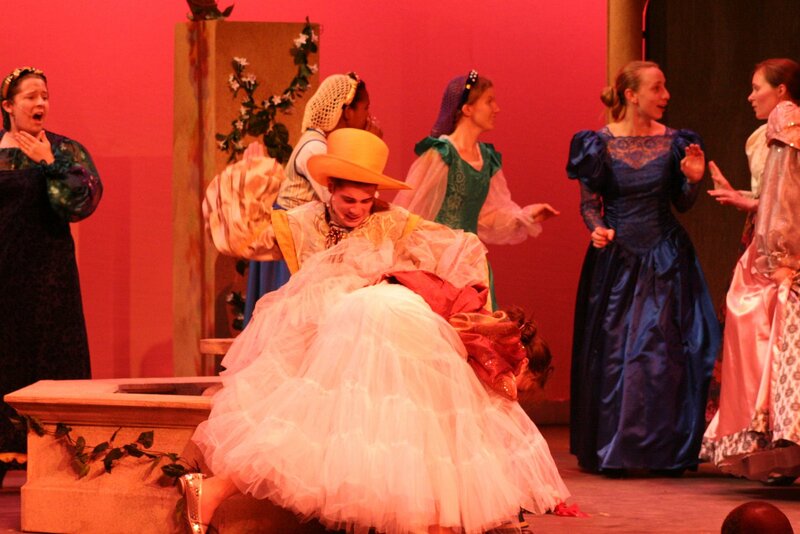 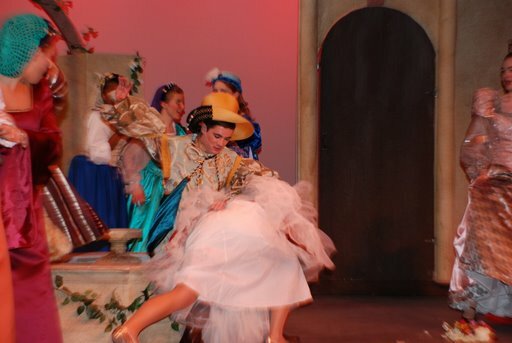 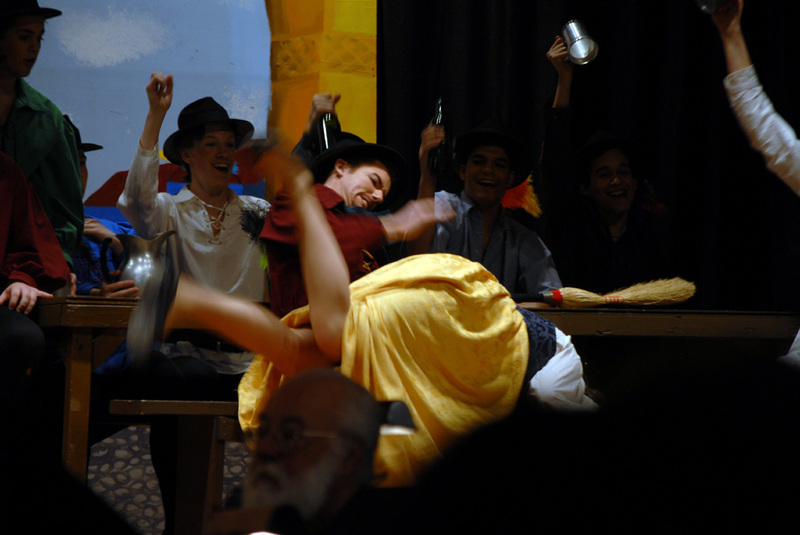 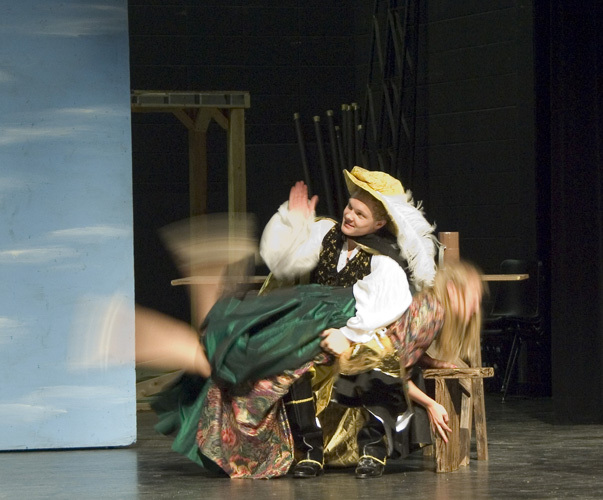 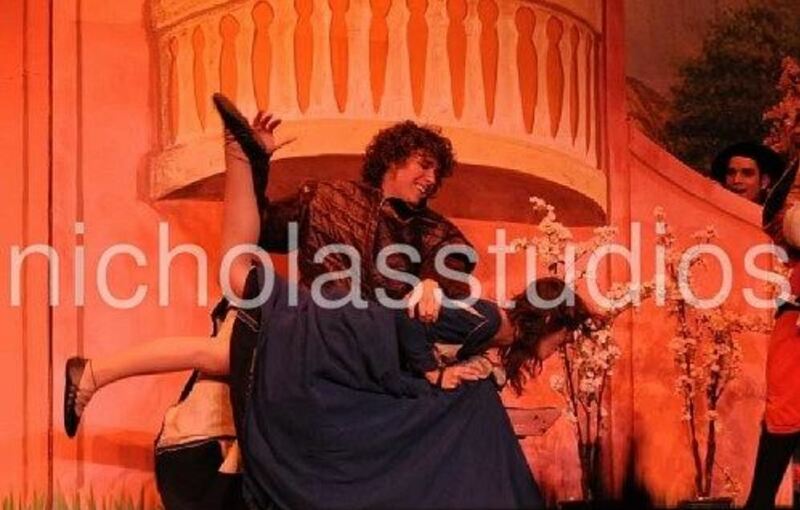 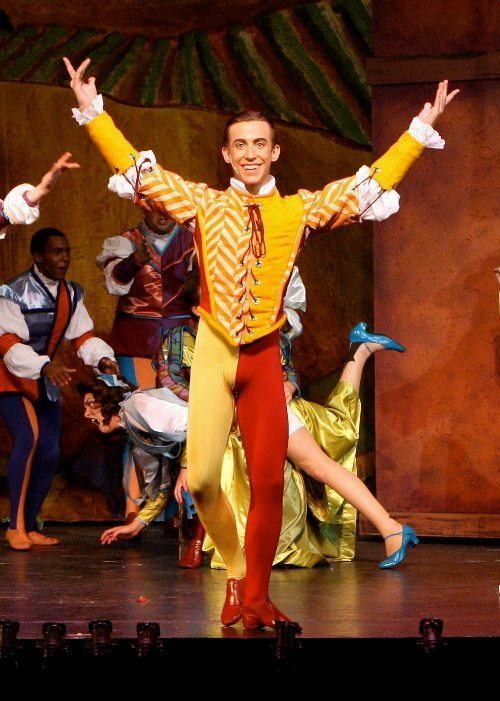 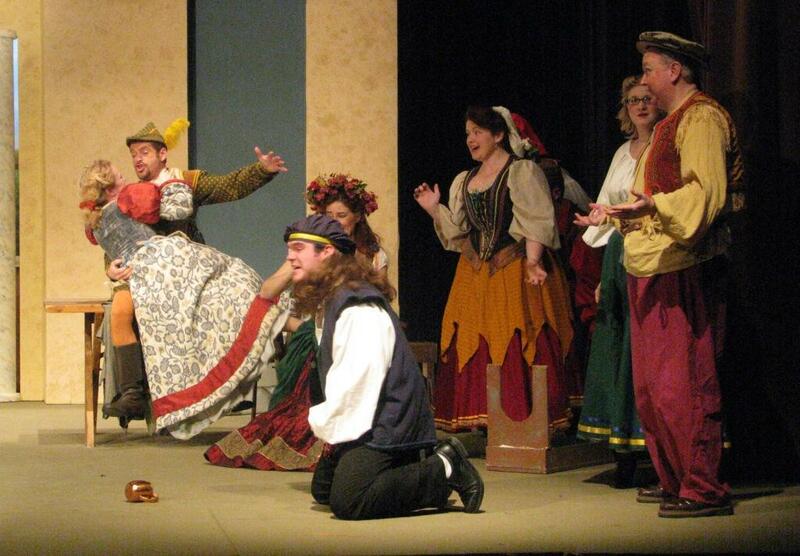 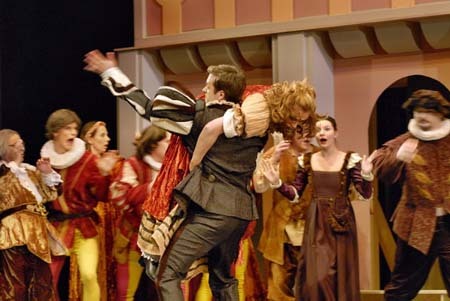 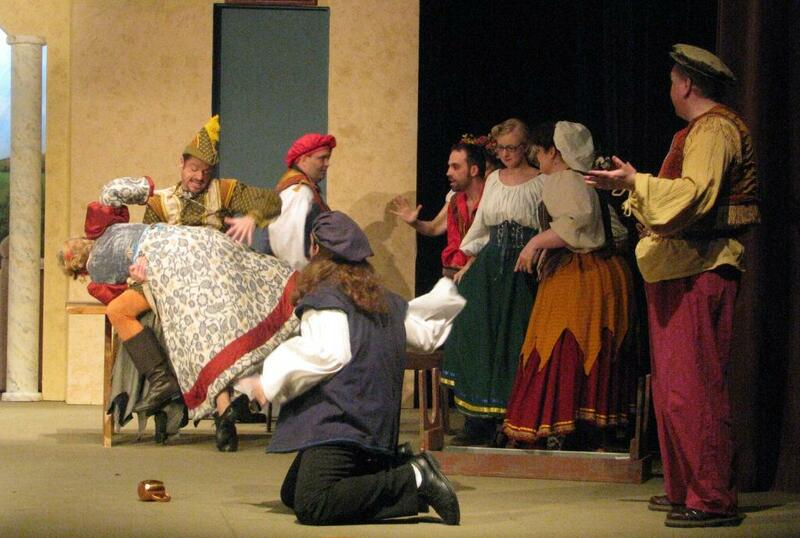 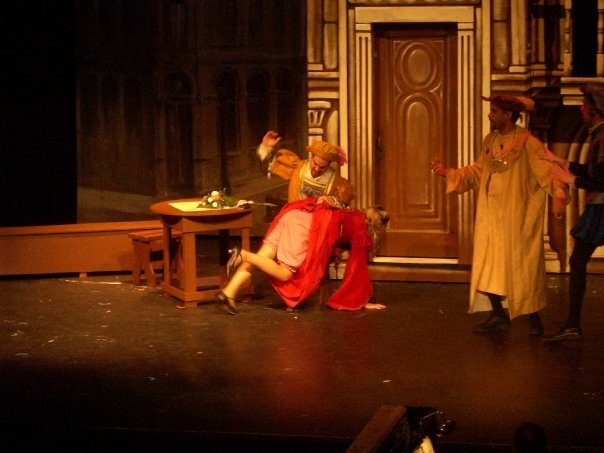 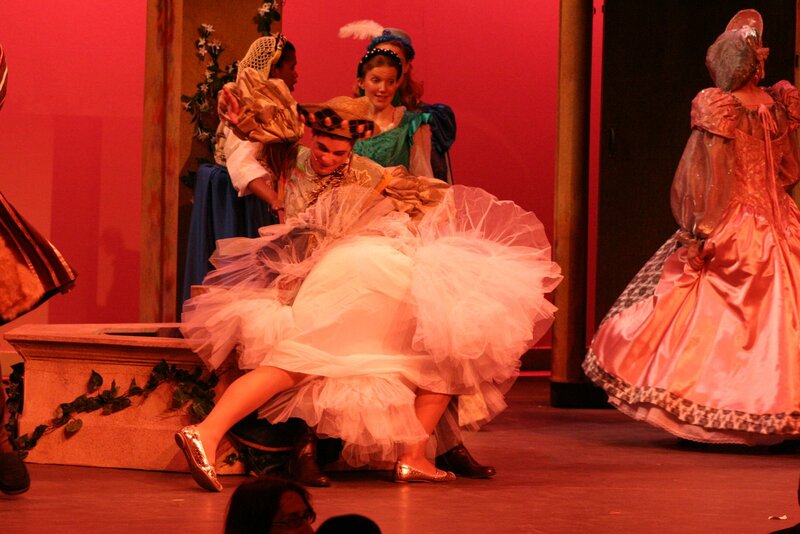 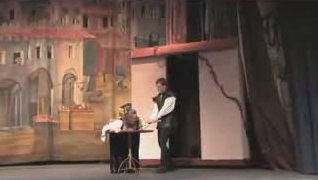 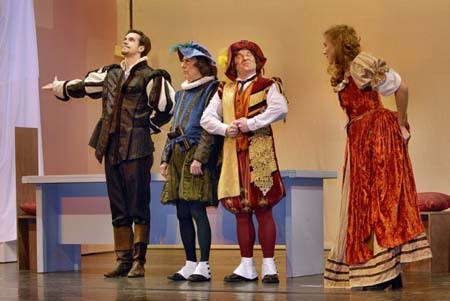 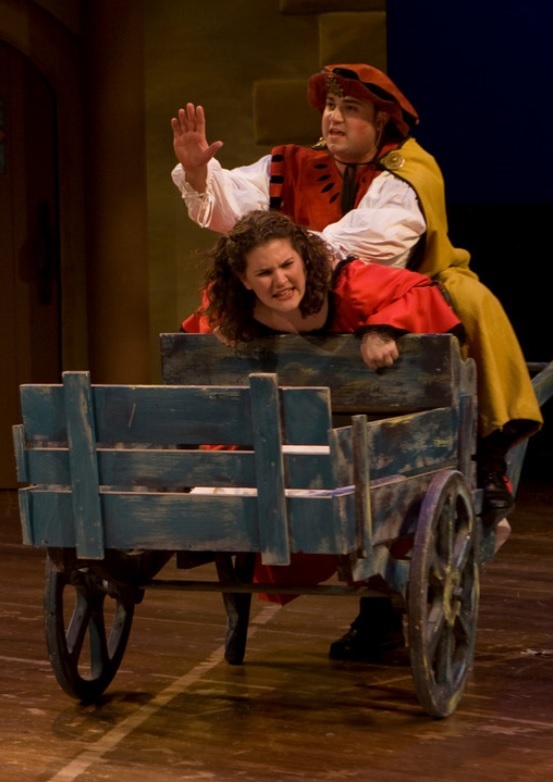 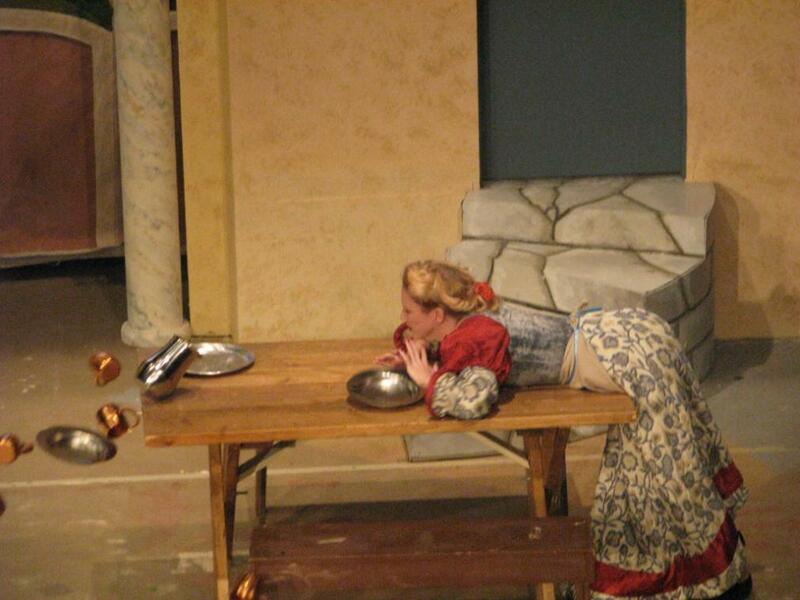 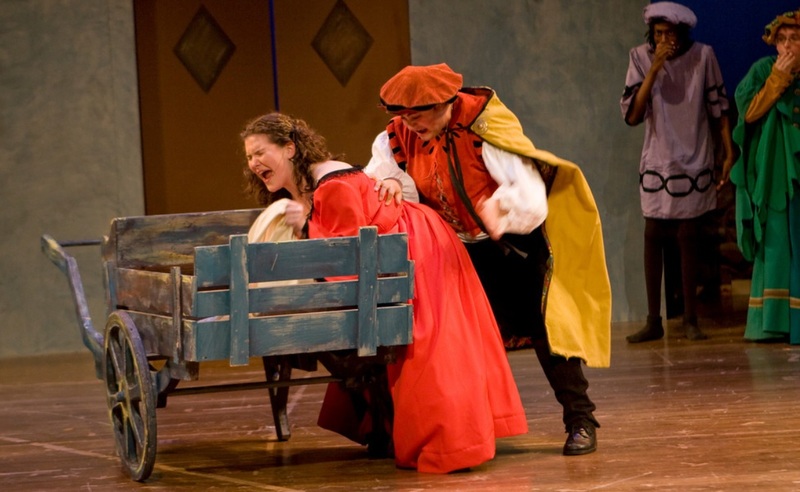 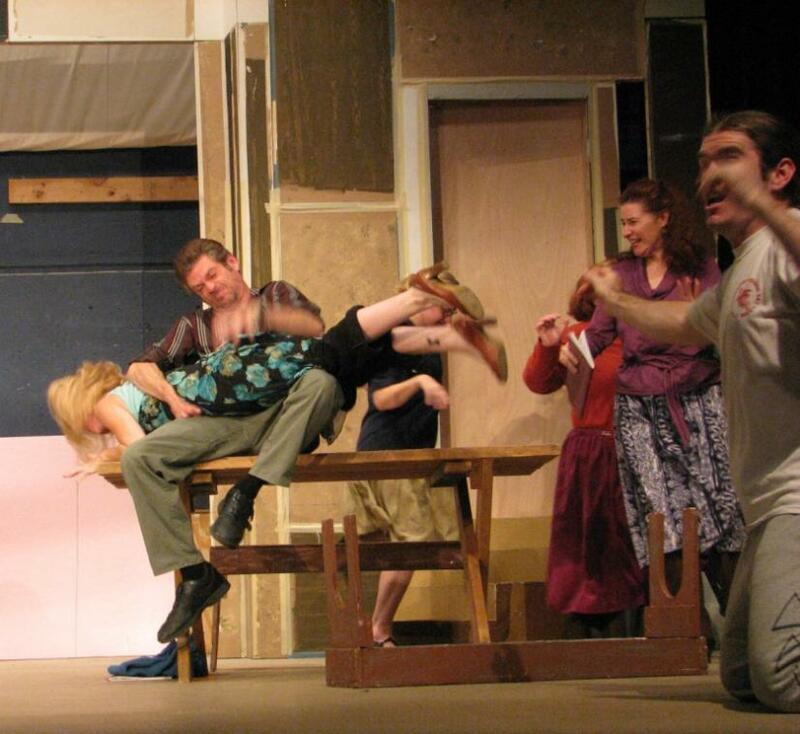 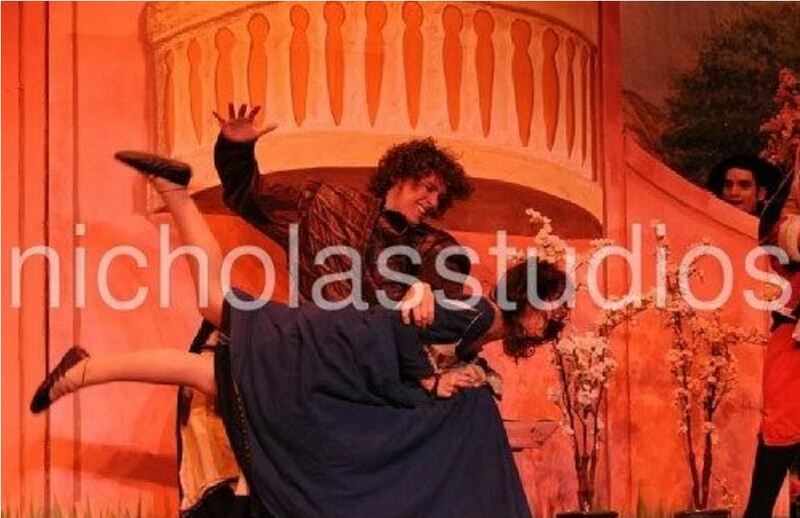 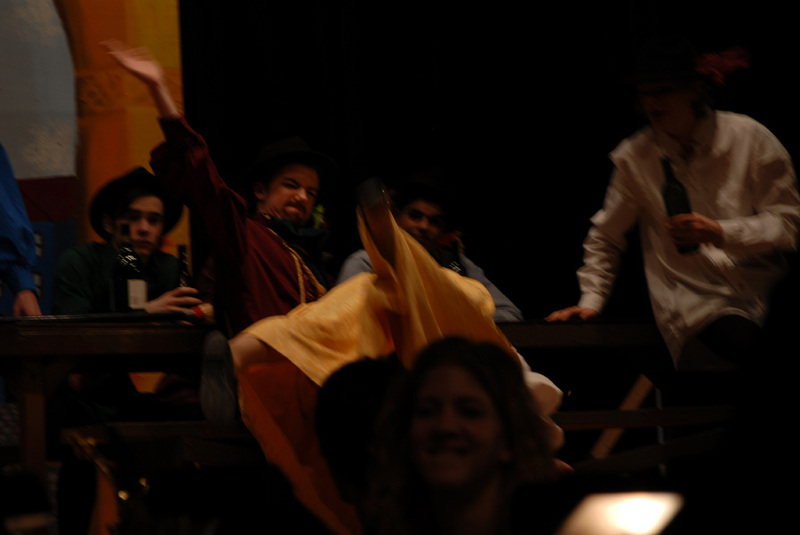 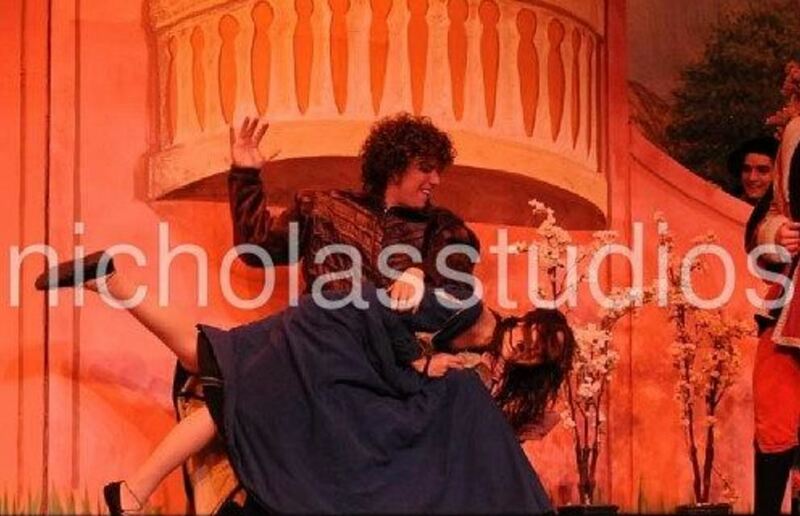 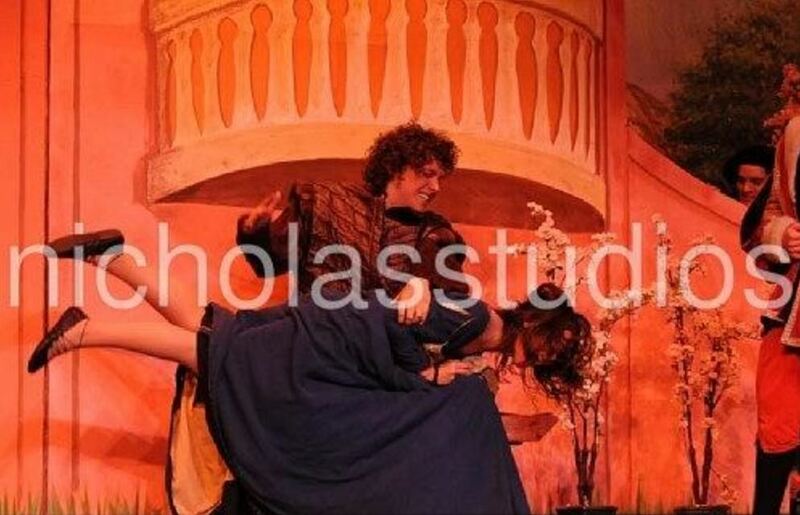 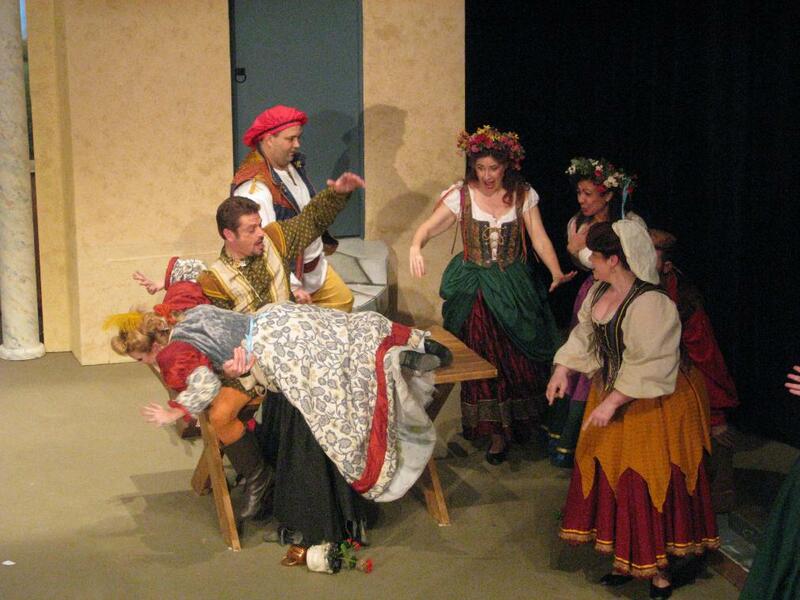 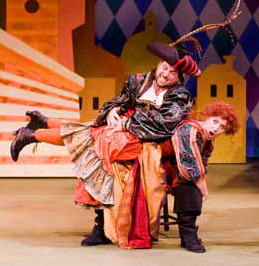 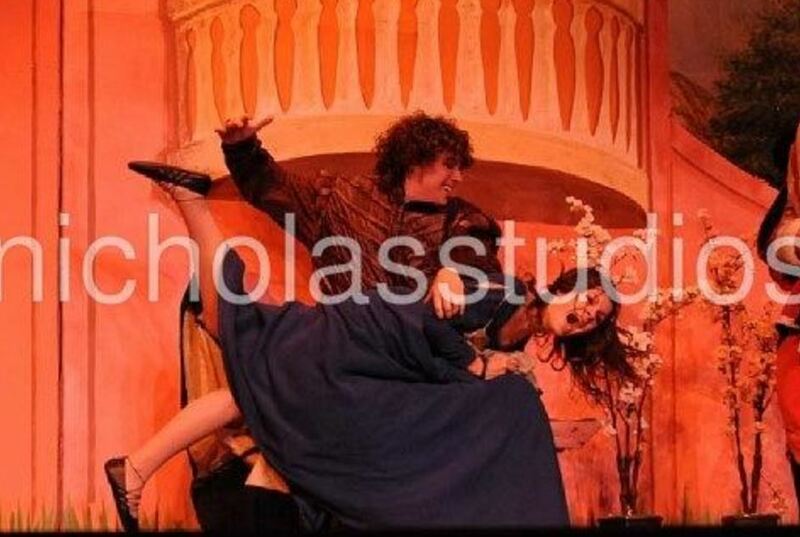 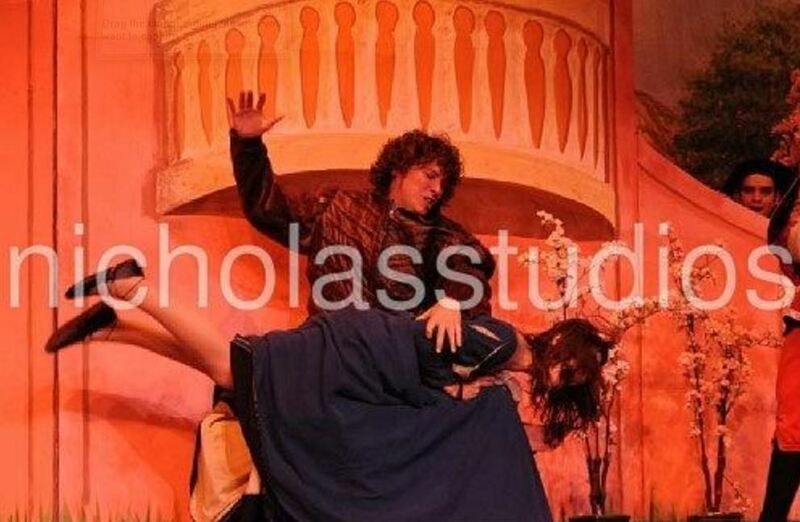 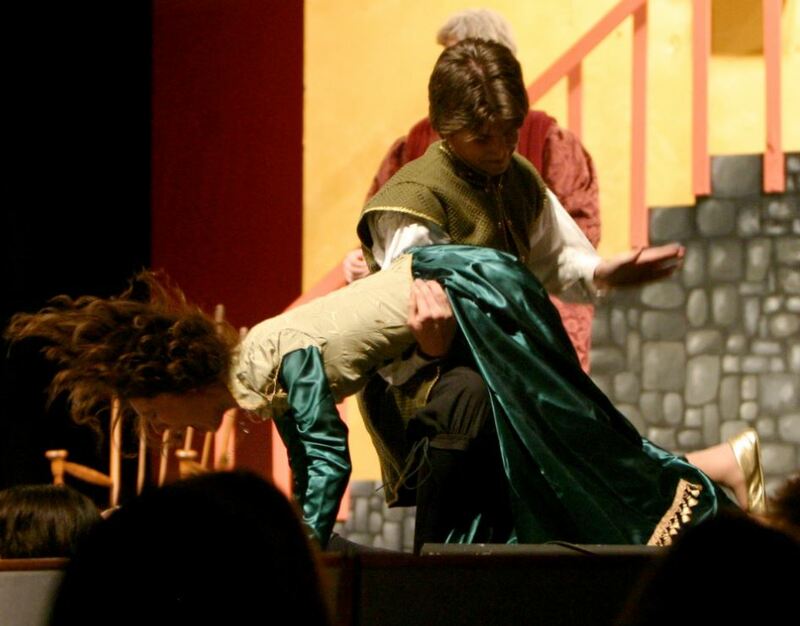 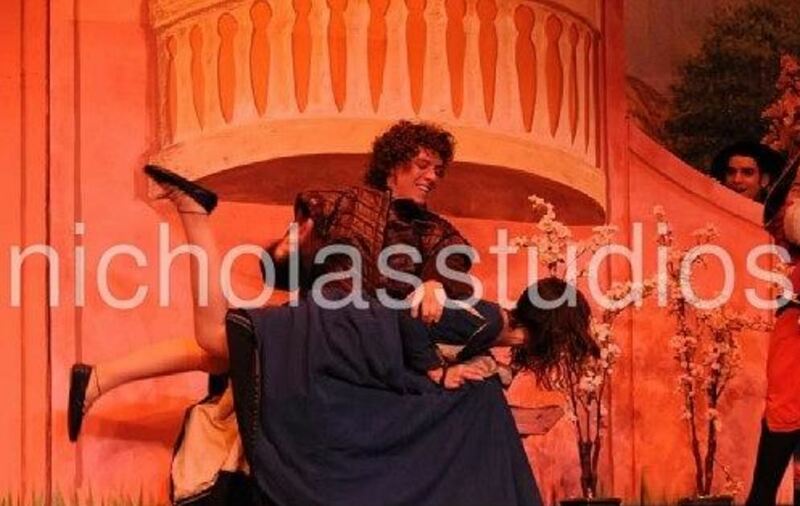 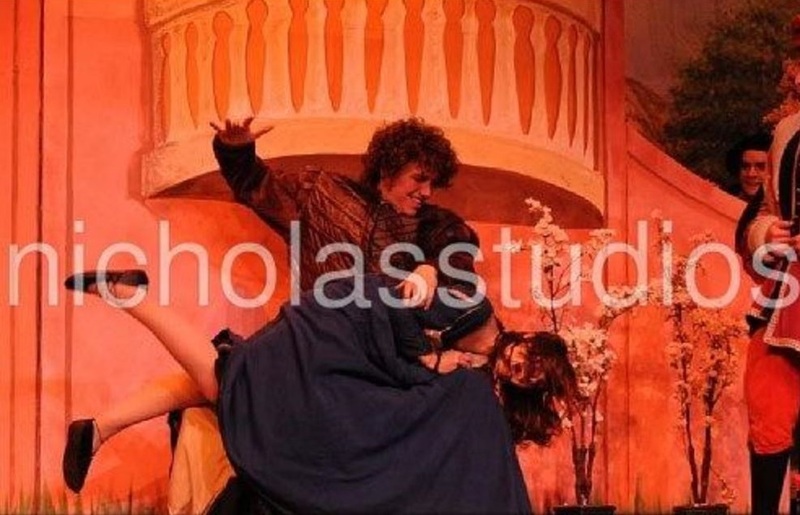 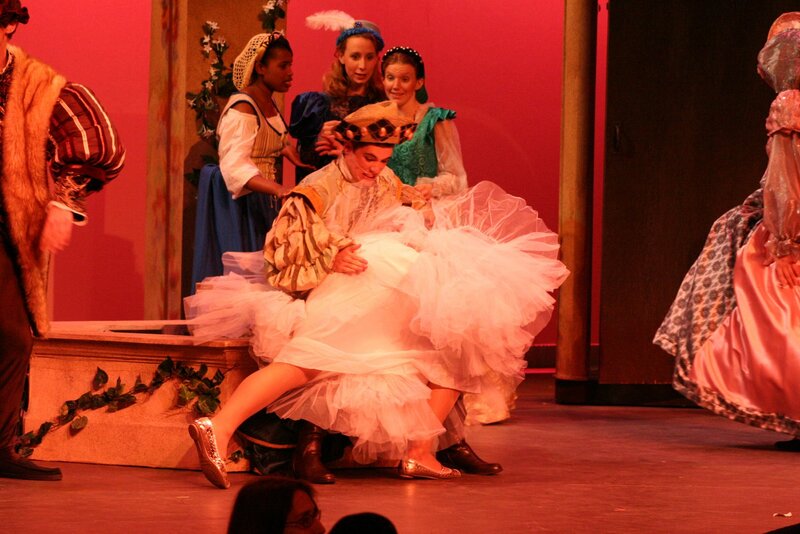 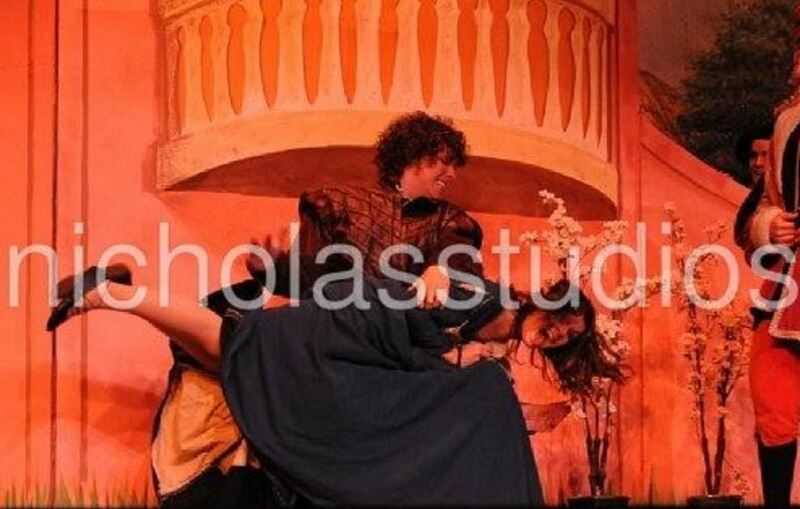 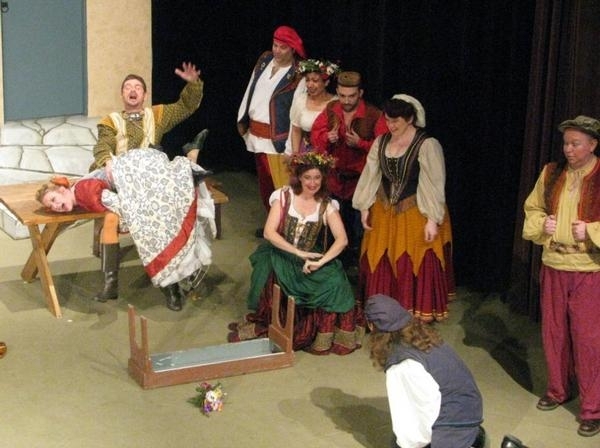 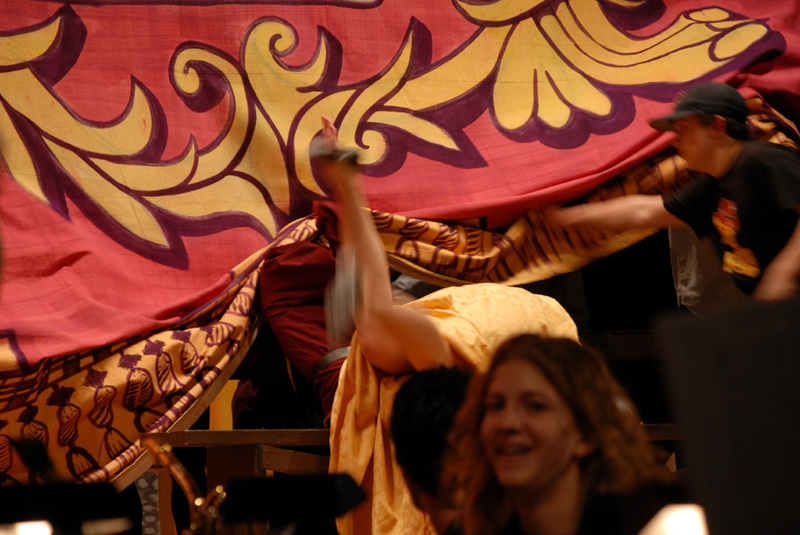 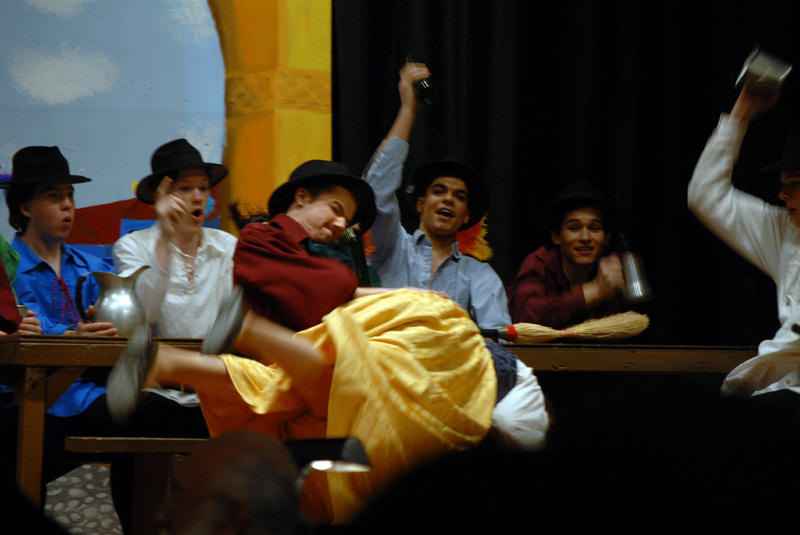 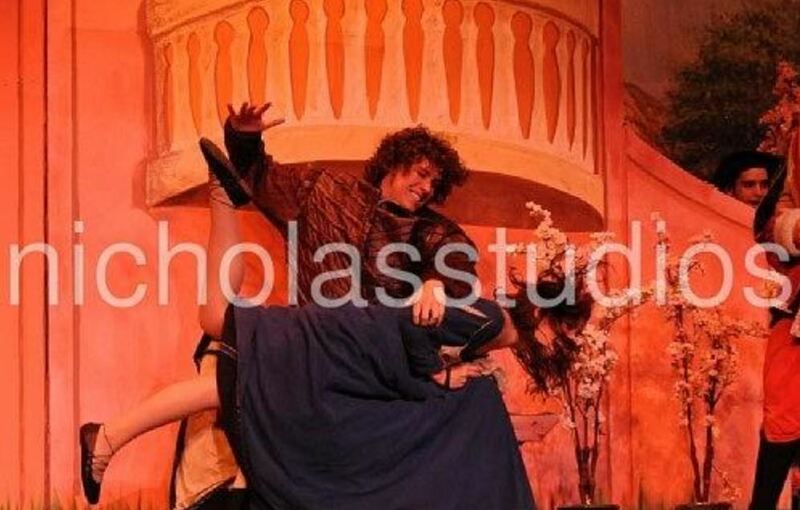 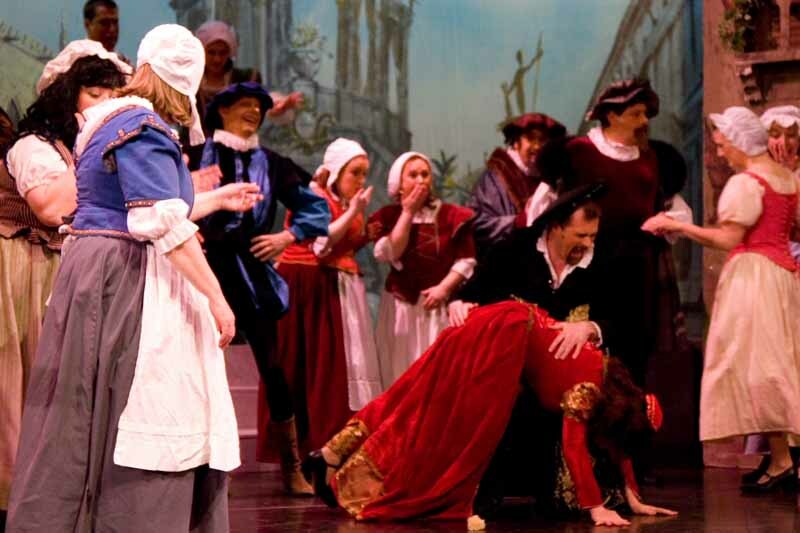 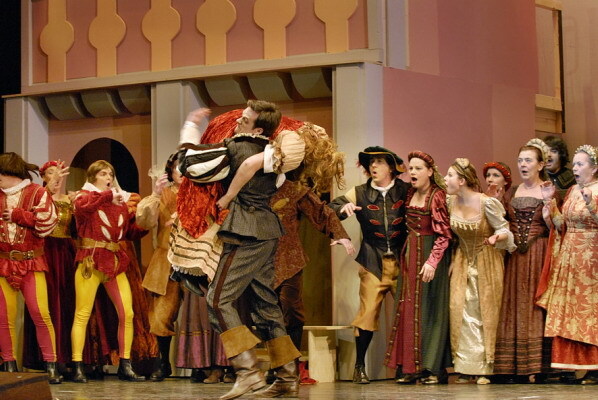 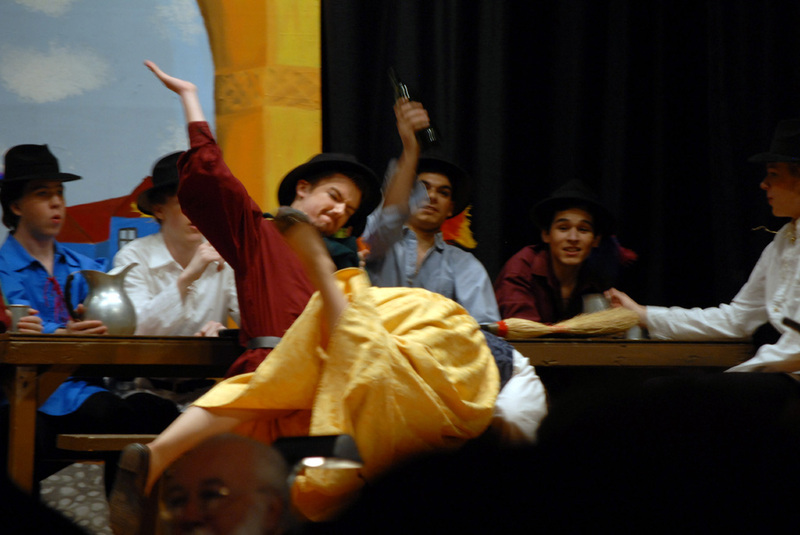 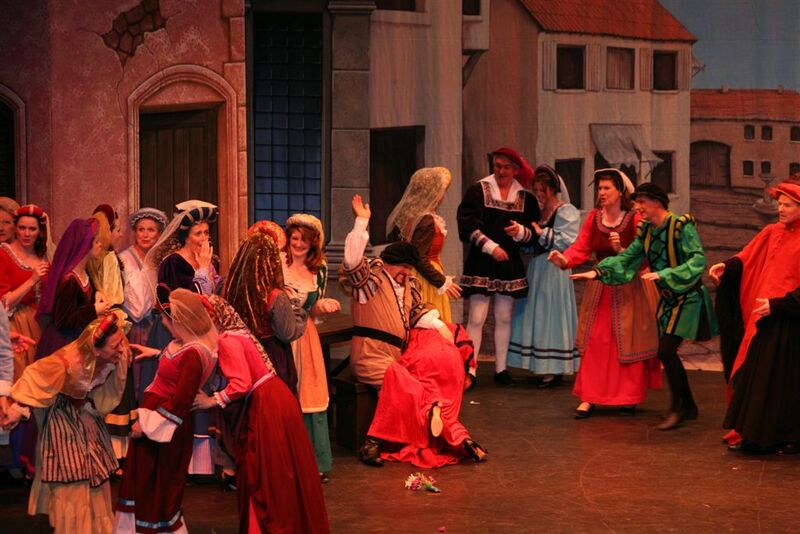 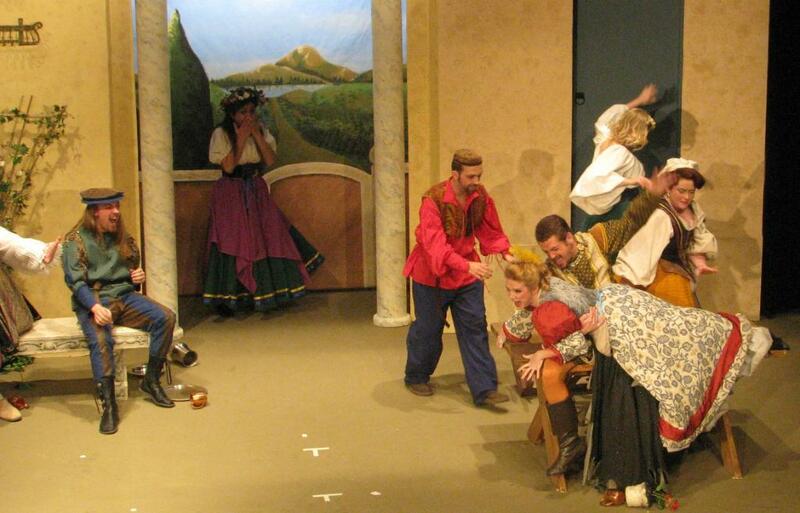 Come back next time for some even more spectacular Kiss Me Kate spanking from 2008! 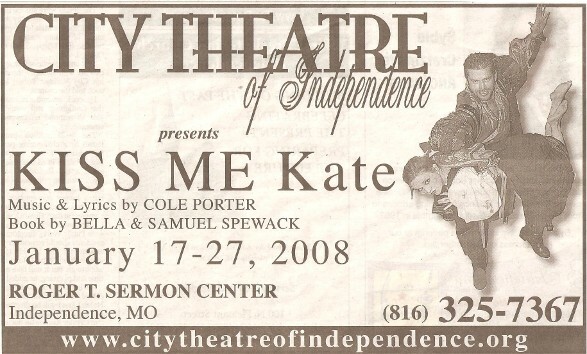 always great to see all the KMK and the different years to see some great otk shots and some new productions. 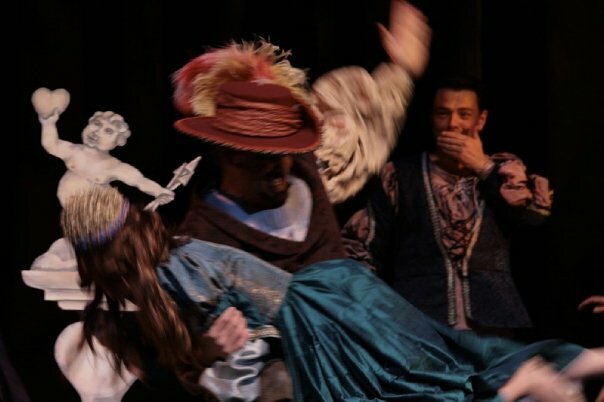 Thank you for sharing and have a great day. 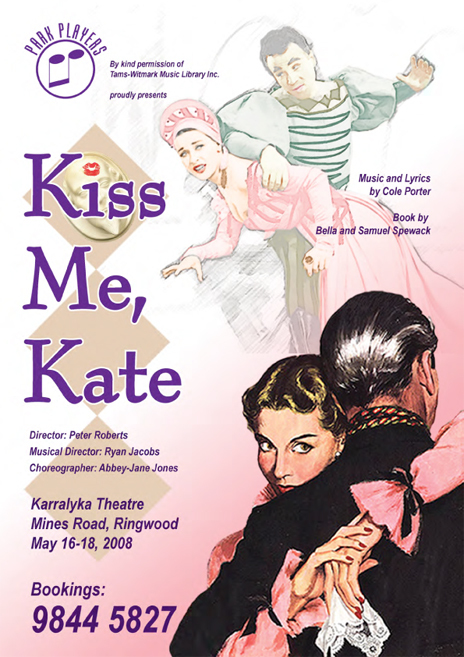 2008 obviously a spectacular year for KMK productions represented here by an equally spectacular collection of images! 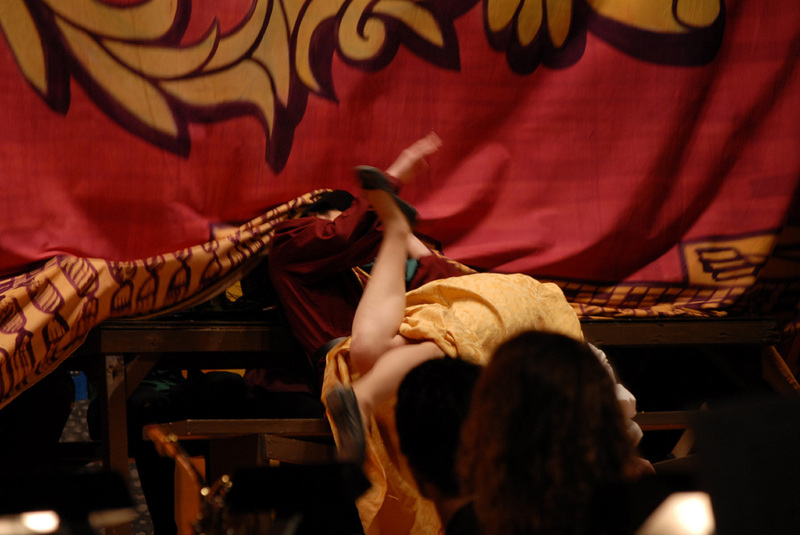 Your work is so consistently outstanding you leave little to say for a commenter except WOW!